On Pink Washing: Dear Food Makers, Please Shut Up. Pink washing health claims on food packaging are obnoxious. They are confusing, misleading, and (often) inaccurate. As a science journalist, I know that 99.9 percent of these health claims are hogwash, and I find it morally offensive that food marketers prey on people’s fear of disease to sell products. I actively avoid buying products with health claims or pink washing. So, imagine my surprise when I opened a new container of miso and found a giant health claim lurking beneath the lid. Sneak attack! Nothing kills my appetite more than a pink-ribbonly reminder of my mortality. Thanks Mr. Miso! I will give them a tiny prop for including a study citation, even though its presence could be construed as manipulative because it adds superficial credence to the claim. So, I walked my anger right over to PubMed and looked up the study. A tiny part of me (the sucker part) hoped the health claim was true. But a much bigger part of me (the pompous part) wanted to feel “right” and, therefore, justified in my anger. Guess which part won? Here’s the miso dish: In 1990, 21,000 Japanese women filled out diet questionnaires that included a question about miso soup. (BTW: Diet questionnaires are notoriously inaccurate because, really, who can remember what they ate for breakfast? Much less for breakfast six weeks ago?) 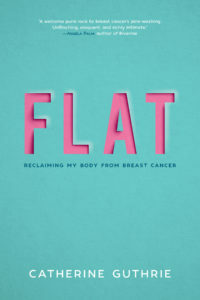 Researchers followed the women for nine years and charted how many got breast cancer. 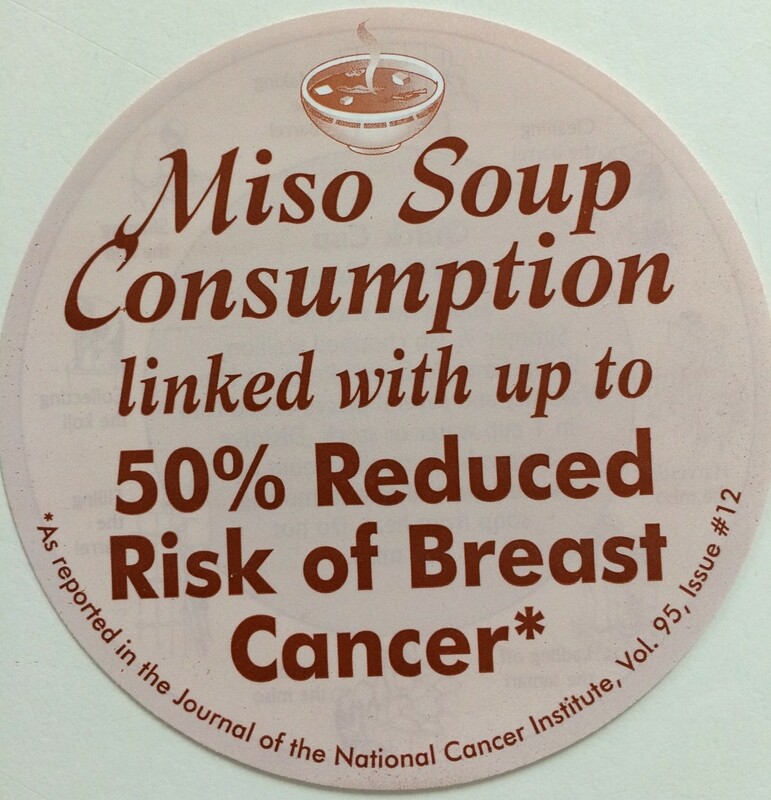 In the end, fewer cases of BC popped up in those women who (reportedly) ate 3+ bowls of miso soup a day. A few caveats: the study’s small sample size means its accuracy is suspect; miso’s magic only applied to postmenopausal women (bummer for me); I live in the West, not Japan, so my confounding factors are enormous; and, finally, who eats 3 bowls of miso soup a day for years on end? Not me. When it comes to health claims, even those with citations, don’t be a sucker. Health claims on food packages are nothing but savvy marketing with a scientific sheen. I can only hope that, if we all vote with our dollars, food makers will get the message that we don’t want our fears manipulated at the grocery store.